As consumers, weather affects our plans, moods, and actions. For many of us, it is the first thing we check in the morning. It plays a part in what we wear, our social plans, the route we take to work, when we travel —even our health and our moods. 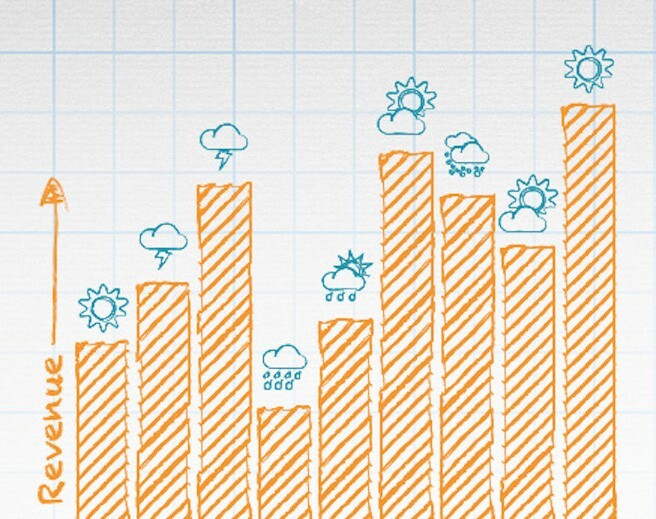 For brands, fully understanding how to leverage weather conditions is key to planning effective marketing campaigns — ones which translate weather into revenue. WeatherAlpha is a data provider that helps brands fully understand weather’s impact, and turn that understanding into ways to dynamically deliver ads to customers based on what types of weather conditions are present, or forecasted to occur, in their given areas. Past, current and forecasted conditions. Think daily high/low temps, light/heavy snow, rain, sun, wind, cloud cover, etc. Custom weather triggers. Such as above 70 degrees, not raining and less than 50% cloud cover. Environmental conditions. Such as cold/flu, pollen index, air quality and UV Index. If a brand is unsure about what types of weather triggers are the best to implement, WeatherAlpha offers consultative services lead by its c0-founder, and in-house meteorologist, Daniel Alexander. By performing a Weather Impact Assessment (WIA), WeatherAlpha can use a brand’s past sales data and run a historical analysis of how various weather conditions have affected sales within each region of the country. In doing so, the client is presented with custom weather triggers by region, as well as the ability to use the findings when planning future marketing campaigns. As WeatherAlpha’s clients continue to request innovative ways to implement weather targeting into their digital campaigns, the platform is continually growing in terms of capabilities and experience. To date, WeatherAlpha’s team has created custom campaigns for the travel, pharma, retail, insurance, energy, automotive, apparel, sports, hospitality, food & beverage, and e-commerce industries. Whether you’re a brand, agency, publisher, or ad-tech platform, WeatherAlpha makes it easy for you to efficiently leverage weather to create more efficient campaigns, and make more meaningful connections with customers.